On Lake Keowee in Keowee Key. Modestly priced Marina Villa that comes furnished if you wish. Ready and waiting for your family or friends to come join you. 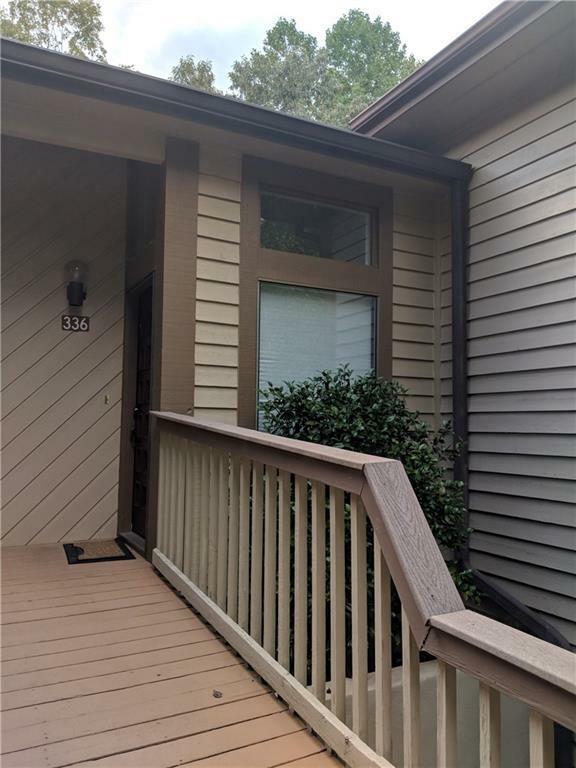 This two bedroom 2.5 bath has a screened in porch with full patio windows and a covered porch over looking Lake Keowee. The view is somewhat obstructed in the spring with all the trees but just a short walk you are at the Marina Villas park with full bathroom access. There is also a Marina with gas, a boat launch and a tennis court. This lovely home has newer carpeting, all appliances, washer and dryer plus furniture. The kitchen has bar seating room and open dining room walks out to the covered porch. The master bedroom is spacious with an updated corian walk in shower and separate jetted tub. Great for a second home or a first. The bedrooms are located at separate ends of the home for nice privacy. The half bath allows for guest to not invade your private space and is located down the hall. A super nice floor plan and location in the neighborhood with a new roof, new paint on the building. Marina Villa is one of the most conservative HOA fees in Keowee Key with many new updates such as new paint and roofs on the buildings. There is storage underneath for lake toys etc. Come make it home.